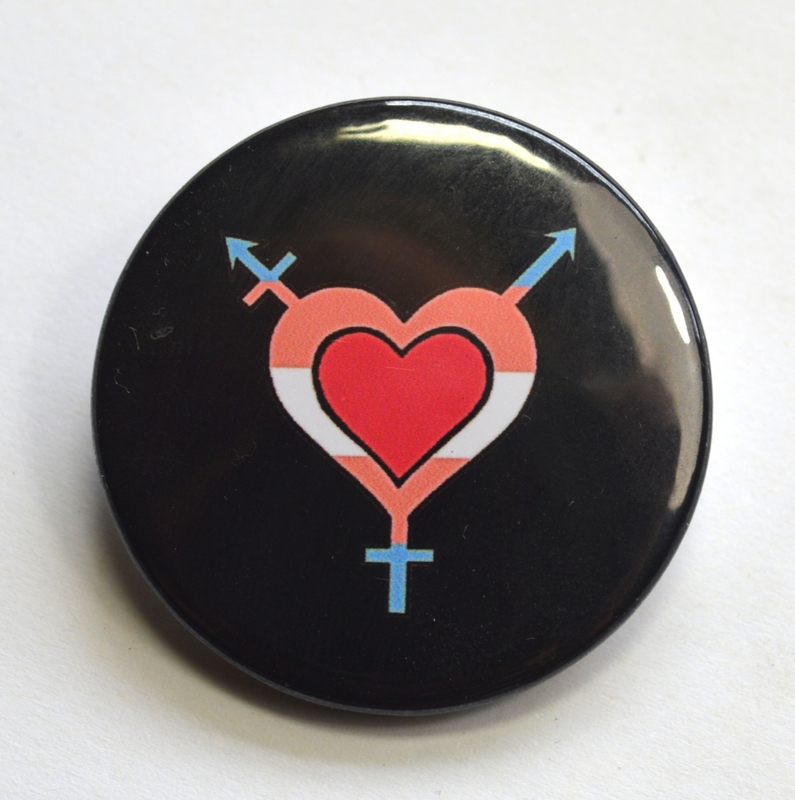 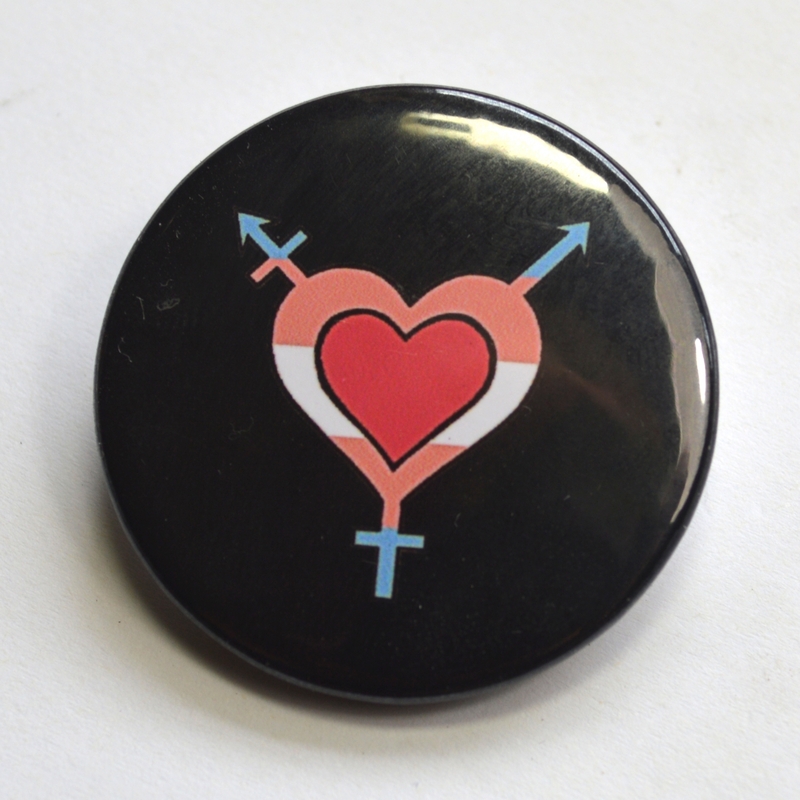 Show your support for the trans and gender diverse community with this beautiful badge! 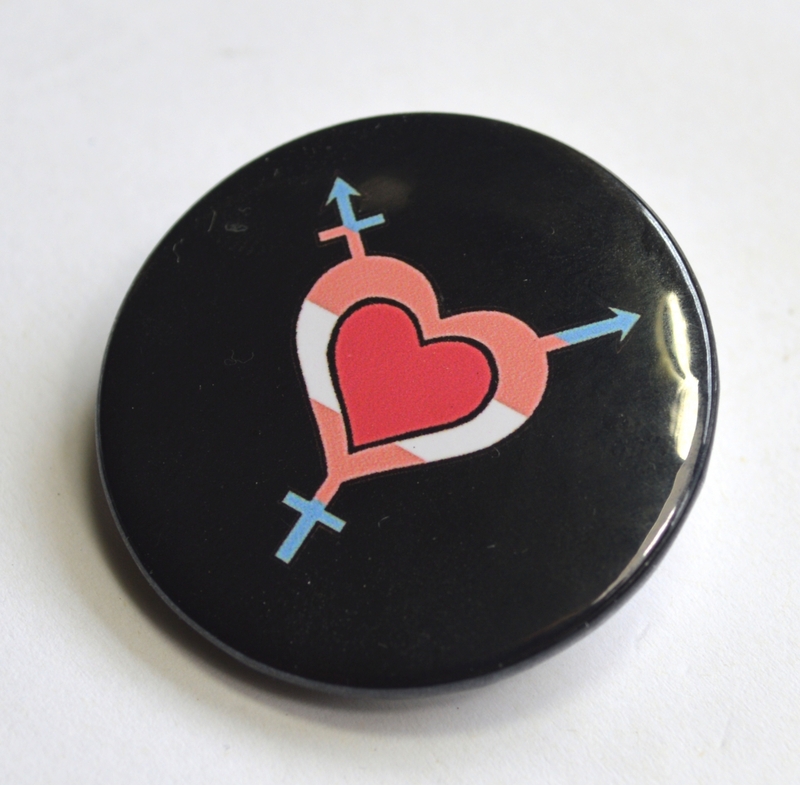 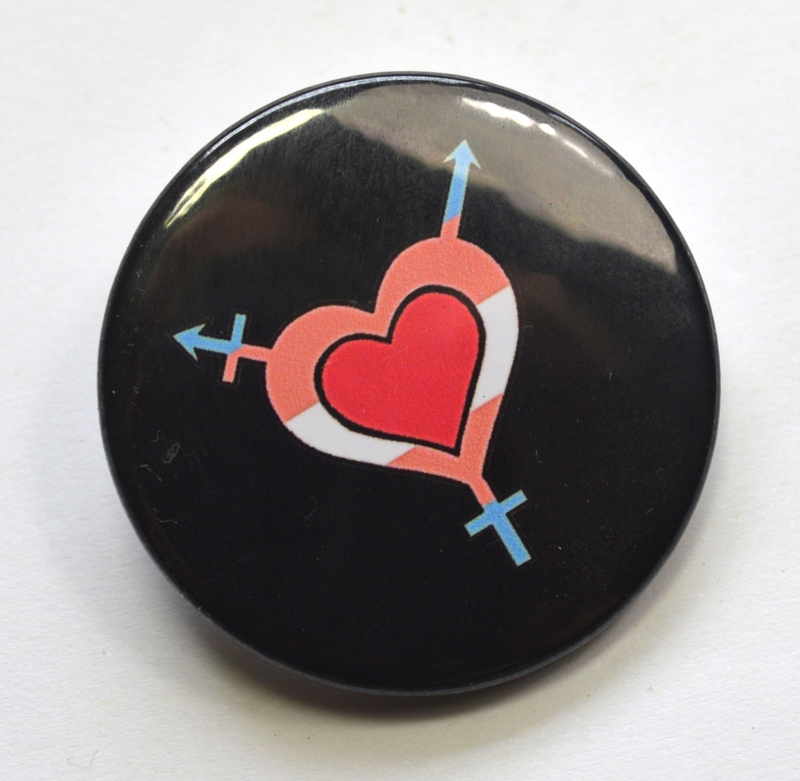 This badge features a heart combined with the gender diverse symbol, coloured in the colours of the trans flag with a pink love heart in the centre, on a black background. 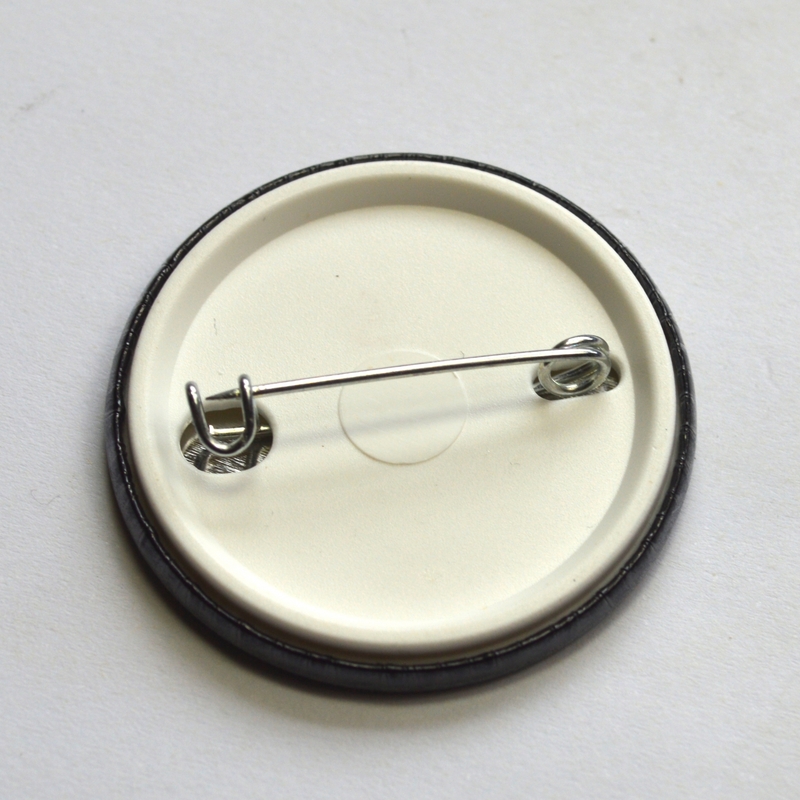 Measuring 38mm in diameter, this badge fastens with a sturdy safety style pin.